Shopping online consignment can be a minefield between finding the right sizes, authenticating, and returns – as of late it’s left something to be desired. Luckily, industry leaders have heard our cries and have responded with an ever expanding e-commerce consignment industry explosion. There’s Vaunte, The Real Real, Poshmark, Threadflip, Shop-Hers, Tradesy, Tracy’s Closet, Bib + Tuck….the list goes on and on! Alas, the one issue all of these sites have in common is they are so carefully curated we can’t find anything in our budget OR they’re not curated at all and it’s like shopping Forever 21 on black Friday. (Somehow, we know there isn’t really a ‘SALE’ but that 10% off before noon keeps us looking for a treasure). Hence, Designer Vault was born. 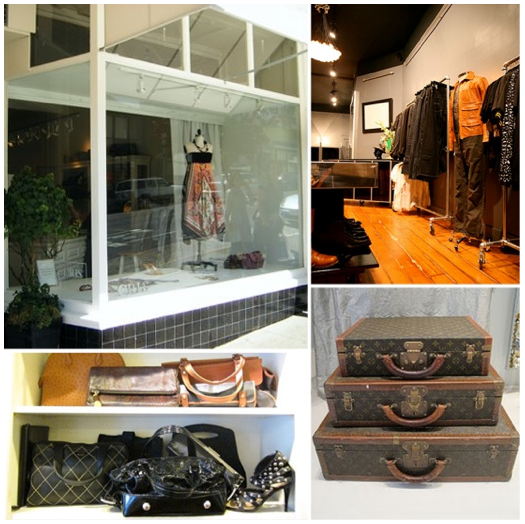 Designer Vault is a San Diego born and bred e-commerce Consignment Company which offers you the best of both worlds --- highly curated merchandise combined with a breadth and depth of selection. What we do is unlike any other consignment company to date. We go into your home and help you decide what to keep, sell, throw away and donate. We throw away the junk. 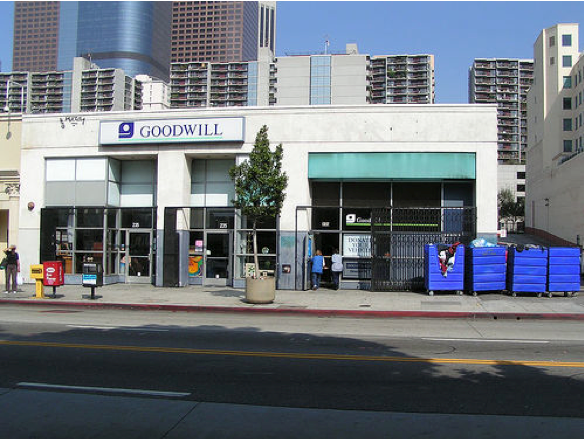 We donate your once loved items to much needed charity organizations. We sell your contemporary clothing from BCBG to you haute couture Dolce & Gabanna runway boots. What’s our secret? We only post the BEST of the BEST items on our website so you don’t need to dig through anything. Here it’s all the good stuff! Everything else that’s good but, just not great ends up on our eBay store so it’s a one stop shop, WIN-WIN for everyone! Still, not sure how to manage the minefield of consignment? I’ve put together 6 quick tips to navigate from cheap to chic in no time! When shopping in consignment stores, whether it’s online or in the intrawebs looking for something specific can take the joy out of finding something fantastic. Rather, keep an open mind and wait for something to appeal to your senses. Trust me, you’ll be pleasantly surprised. Haven’t worn something in over 6 months? Time to let it go, I often hang my hangers backwards and after a garment has been worn I adjust the hanger to hang appropriately. After 6 months if garments are still on backwards hangers, I know it’s time to say adios. The glory in saying goodbye? Reselling these once loved items gives life for new items to make their way into my closet. RULE #3: Love an online consignment store? Get on their list! Getting on the list (e-mail list that is) of an online consignment store is the equivalent of getting first in line to the latest night club all your friends have been talking about. In the world of consignment, EVERYTHING is scarce as in there’s usually only one item available at a time. Some items may only come to market once every ten years—or even less! When great things come in you’ll definitely want to be the first to know! Haven’t you heard the saying the best treasures are the one’s worth digging for? I’ve once found a Chanel blazer at a thrift store for $8. It wasn’t the prettiest place nor the likeliest but that old saying “You can’t judge a book by its cover” couldn’t be more true. Shopping consignment can leave you breathless from pursuing racks of consignment goods to typing 95 words per minute so that someone doesn’t steal that perfect Prada from your shopping cart. We’ve all been there! But just slow down sista because, often times impulse and rushed purchases = returns. Due to the nature of the business many consignment stores don’t accept returns so be sure to proceed with caution! New merchandise comes and goes every day on consignment sites across the country. So don’t be the so sorry Charlie when you see your Chanel boots at Decades for $550 ahem, sold out. The only place you can now find them is Vaunte for $1200. It pays to be in the know and trust us, your wallet will thank you. Just in case you needed an extra kick to get you in the mood be sure to sign up for Designer Vault’s e-mail list here! I completely agree with this. Thanks! With the help of online consignment shop it has become easy to purchase any kind of luxury handbags or shoes for various occasions. The market, today is flooded with a variety of high quality handbags like Chanel handbags, luxury designer Louis Vuitton purses that helps to add a style in any event or party. Few days back, a friend of mine, suggested me to visit some good online designer consignment shops, that provide authentic and stylish handbags, shoes for women.